YUM! 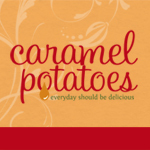 I could just introduce this recipe with a simple YUM! A simple homemade pizza crust, topped with Nutella, semi-sweet chocolate chips, milk chocolate chips, white chocolate chips and chopped hazelnuts. It is ooey-gooey delicious. Place flour, salt and yeast into a mixer with the dough hook attached. Slowly add water while mixer is on low. Dough should start to form a ball. Add the olive oil. Let the mixer knead the dough 1 to 2 minutes until smooth and elastic. Place dough in a bowl with 1 Tbls. olive oil; roll dough to completely coat. Cover and let rise in a warm place for 1 hour or until doubled. Punch down. Line a baking sheet with parchment paper. Roll out the dough to a 12 inch diameter round. Transfer the dough to the prepared baking sheet. Using your fingers, make indentations all over the dough. Brush the dough with butter, then bake until the crust is crisp and pale golden brown, about 20 minutes. 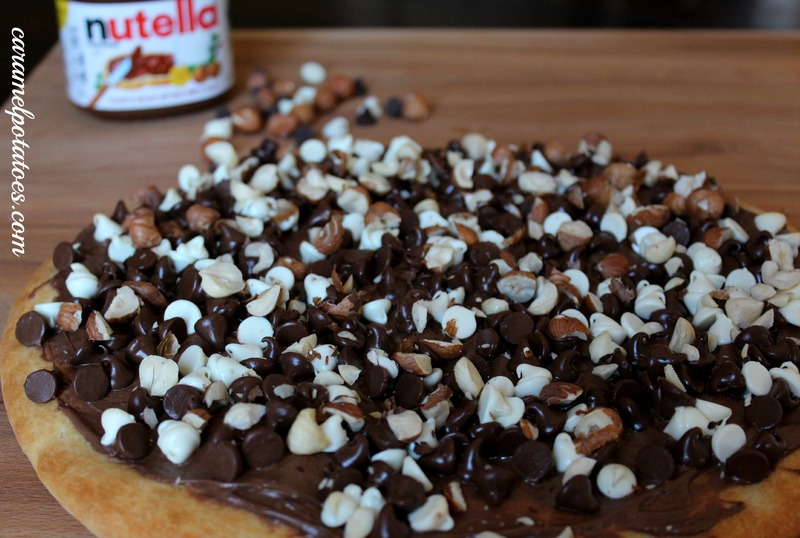 Immediately spread the Nutella over the pizza then sprinkle all the chocolate chips over. Bake just until the chocolate begins to melt, about 1-2 minutes. Sprinkle the hazelnuts over the pizza. Cut into wedges and serve. Love anything with Nutella – This looks yummy!